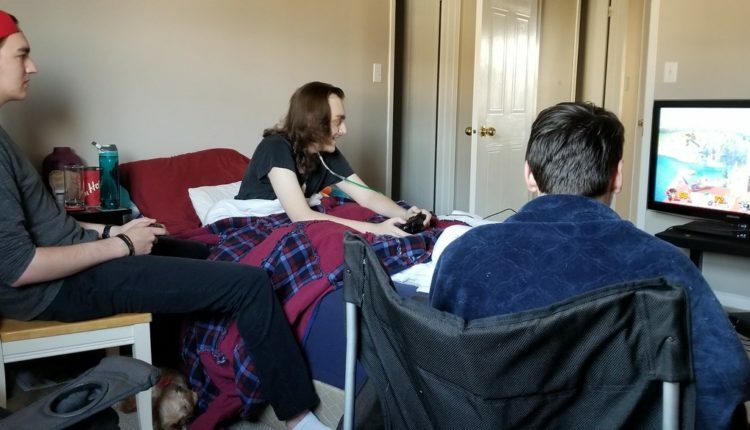 21-year-old Chris Taylor has been waiting for years to play the latest Super Smash Bros. game like so many other fans. Unlike so many other fans, however, Chris Taylor has been fighting bone cancer for the past few years, with the doctors only giving him a few months to live. Amongst the many things that Chris is worried he’s going to miss out on, the new Super Smash Bros. is among them. Chris tweeted out to Nintendo hoping to get a chance to play the new Super Smash Bros. Ultimate before it is too late. Soon, the campaign took on a greater weight as more and more successful figures in the social media gaming community joined in. Finally, Nintendo heard the call, and lo and behold, delivered to Chris the E3 demo of Super Smash Bros. Ultimate, two months before the release. Chris was understandably beyond excited, and thankful to the Internet that made this dream of his come true! Chris tweeted out photos of him playing the game with his friends. It looks exciting, and we’re glad Chris got to experience the joy of… let me look at those photos… playing as Solid Snake against Ness?! Look, this is an excellent choice. Snake is great, and he wasn’t in the last Smash. I am glad Chris got to experience the joy of dropping one of those proximity mines near Ness’s weird yo-yo. I see Wolf in the shot too; Good ol’ Wolf! Thank you, Wolf, for, along with Solid Snakes, Ness, and one character I can’t quite make out for making Chris’s day, and the people of Twitter, who were absolutely touched by the progression of the day’s events. What do you think of this story? Let us know in the comments, or on Twitter at @WhatsTrending.